How do I set up ShareProgress? Place this code before the </head> tag in the template for webpages on your site. 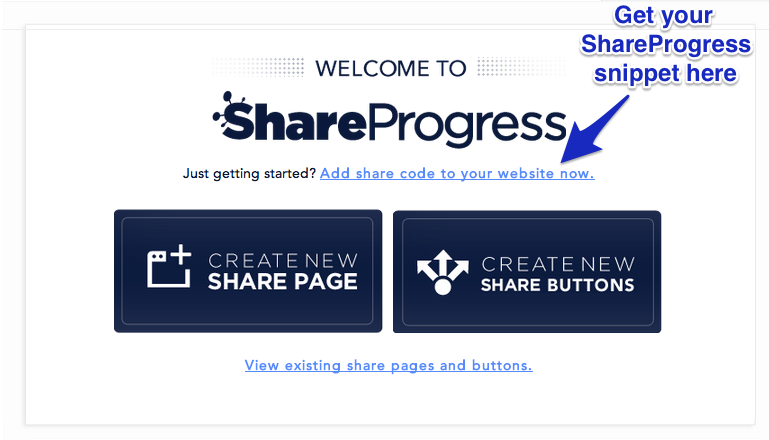 Now you're ready to set up your share pages and share buttons.